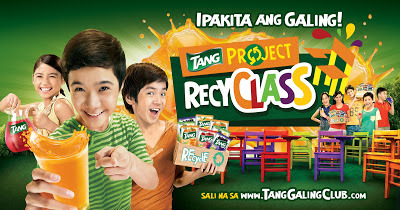 Let’s Support Tang Galing Club’s PROJECT RECYCLASS! Tang Philippines intensifies its advocacy to activate a new movement for kid empowerment by encouraging the youth to take part in making a difference through the Tang Galing Club. The club’s first ever project is the recently launched “Project RecyClass”. This campaign aims to tap kids’ heroism by empowering them to make a difference through recycling! Let’s help encourage kids to support the Recyclass Project by collecting foil packs to be recycled and used in making flood-proof chairs that would soon be distributed to public schools in Metro Manila! The project goals to produce 10,000 school chairs by the end of the year. We were told that a number of students study without chairs (some even write on the floor!). Our kids, in their own little way, can give these students a little comfort while they learn. These kids pledged to take part in making a difference to the world. 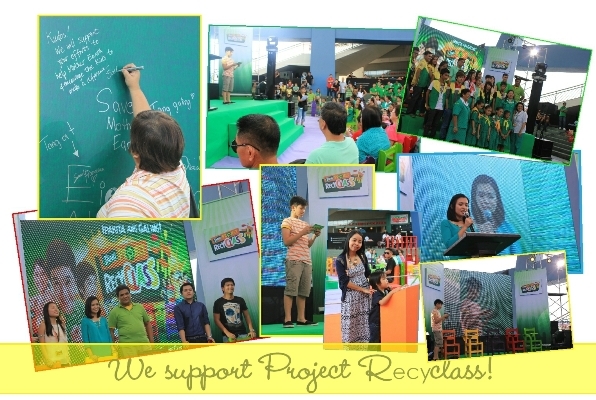 The Project Recyclass was brought about by the recent findings of the online survey conducted by Tang Galing Club. The survey revealed that 50% of its members (there are over 16,000 club members) consider “caring for the environment” as “the issue closest to their heart”. Through this project, environmental concern can be somehow addressed by reducing waste foil packs and by saving trees. I am happy to share that I am one of Tang’s Online Brand Ambassadors. I am fully supporting their advocacy to empower kids to be the best that they can be! How or where can I donate foil packs?